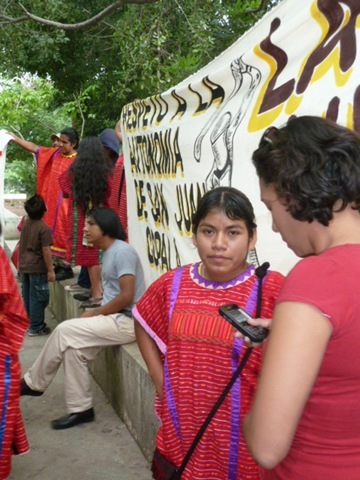 Amnesty International has just issued another call for an investigation into violence in the Triqui region of Oaxaca, especially violence committed against supporters of indigenous autonomy. 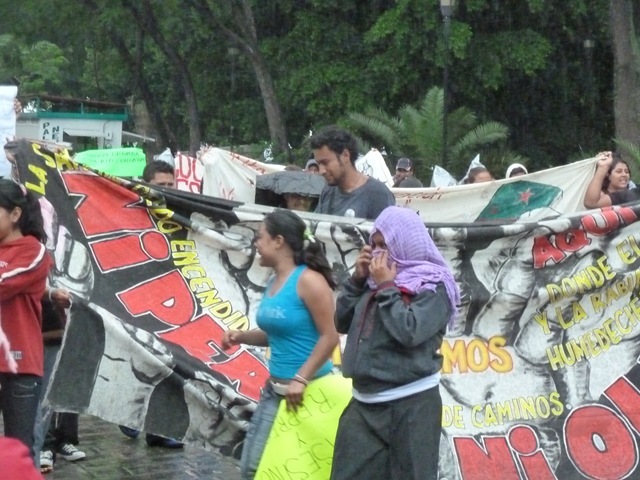 OAXACA –Led by indigenous women from the Triqui ethni c group, dozens of people marched through the rain June 11 to Oaxaca’s central plaza and began an encampment in support of San Juan Copala, a Triqui village that has been besieged for months by paramilitary forces and more recently by the Mexican army as well. Speaking a press conference in Llano Park before the march, the women said their community has suffered more than 20 assassinations, which they blame on UBISORT, an armed group with ties to the political party of current governor Ulisses Ruiz Ortiz. “If the government wants us to have negotiations they have to arrest the assassins of our comrades,” said Mariana Flores López. She said the government knows who was responsible for the ambush of a human rights caravan in May, in which two human rights workers were killed. 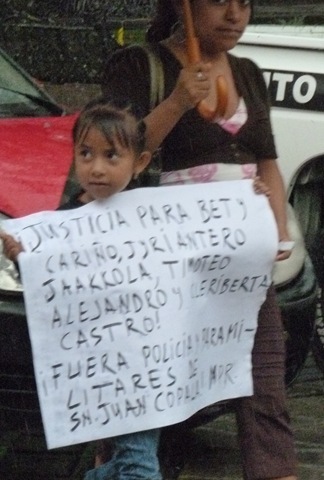 A second caravan, in June, turned back before reaching the village due to the presence of armed UBISORT forces. Yesterday’s march included Triqui street vendors who complained they have been treated unfairly by a corrupt city government. 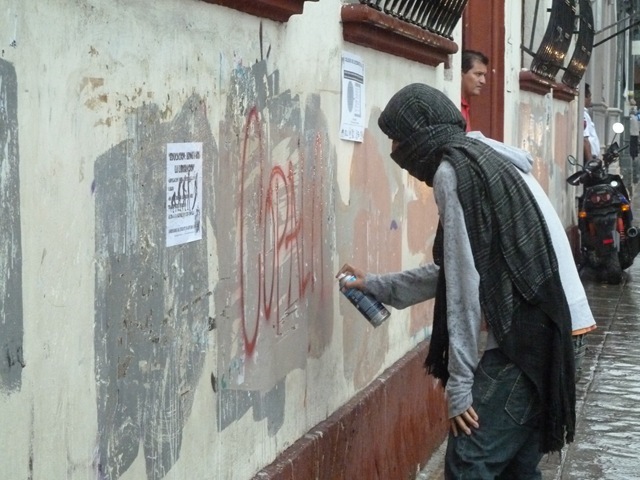 The vendors are affiliated with the APPO, the assembly of organizations that emerged during Oaxaca’s 2006 uprising, which was violently suppressed by state and federal forces. APPO members continue to demand the release of political prisoners and for the governor to be held accountable for the murders, kidnappings, and assaults committed by his government. Members of the Organización de Comerciantes Ambulantes en Resistencia 14 de Junio (June 14th Street Venders in Resistance) said they will keep the encampment going until there is justice for the Triqui people. 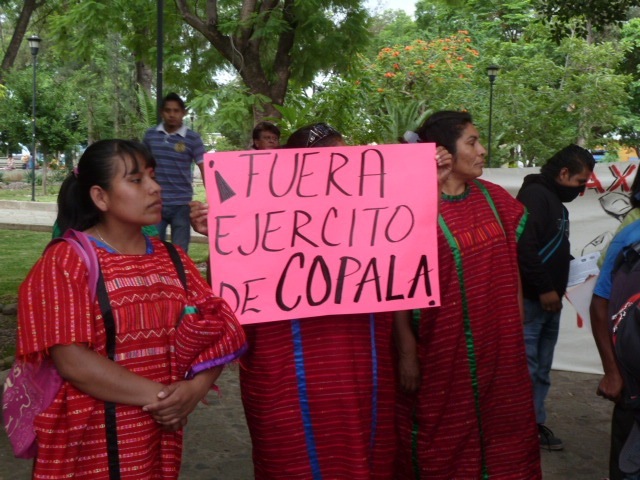 Also this week, women from San Juan Copala announced a 3rd caravan will take place at the end of August, from the Mixteca city of Huahuapan de Leon to Mexico City to demand federal government action to dismantle the paramilitary group which has besieged their community.